Gang Luo came into this world in 1939. Born into a hard-working family, he experienced serious health crises due to lack of medical care and good nutrition. Several of his siblings passed away due to the same hardships. These health issues followed him through his adulthood, almost dying from them. China’s Great Proletarian Cultural Revolution caused him to have a lot of setbacks with both his career and his health. Deciding that he wanted to overcome being sickly, he began to take charge of his own health. Exploring both Traditional Chinese Medicine (TCM) along with contemporary medicine opened up new avenues for him to explore. In “Second Chance” he shares his amazing story of healing with his readers. Contemporary medicine involves using doctors with specialties in areas like ENT, orthopedics, dermatology and surgery. TCM explores healing through our five major organs, six hollow organs, meridians, connections between our physical body and our internal organs, the importance of the connection between qi and our blood and it utilizes Chinese medicinal herbs. The study of TCM was very important for Luo, because not only did it cure him of health issues like Hepatitis B, but he also attributes it to playing a huge role in him living a vital life now. As I read “Second Chance” I felt like I was sitting down and having tea with the author while he shared his life story. His words are gentle and flow at a pace that brings his words to life for the reader. While he withstood hardships, his love for his family and his home really shine through. I enjoyed being able to see the place that he was raised through his eyes. He really seems to express gratitude toward the beauty around him, in spite of the hardships that he and his family had to endure. When Luo goes into chapters that discuss his healing journey, he does an excellent job of presenting his information in a way that makes it easy for the reader to follow. He uses outline methods and charts to lay out a lot of useful information that could easily be lost, in confusion, if it wasn’t organized so well. This information includes covering a variety of health conditions along with the herbal protocols that can be used to treat them. Luo also covers diet and nutrition for longevity. His love of using dance for exercise is also discussed. 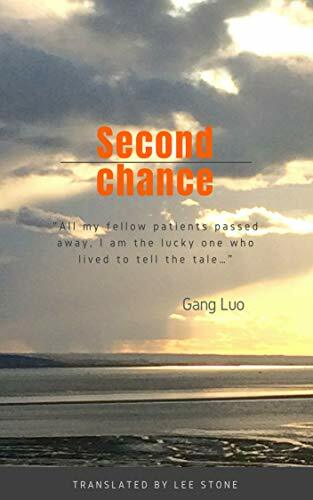 Overall, I really enjoyed reading “Second Chance” by Gang Luo. It gives me a great deal of hope that I can enjoy my senior years living a vital, healthy life. Knowing that the author is about to go into his eighties, healthier than he was at my age, helps me look forward to the upcoming golden years. His health protocols motivate me to learn more about what I can do for my own health. I think readers will enjoy reading the story of the author’s life and like me, they will become motivated to learn what they need to do to maintain a vital, long life.